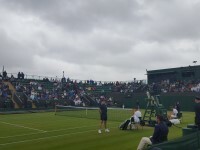 You are on Gates and Routes to the Court. Skip to the next section. 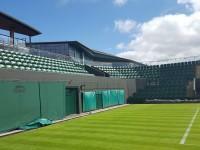 For information about Gate 5 and the route to No.3 Court (opens in new tab). 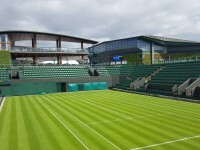 You are on Access to No.3 Court Seating. Skip to the next section. 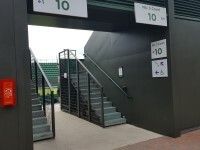 There are gangways located around the edge of No.3 Court to provide access to the seating. 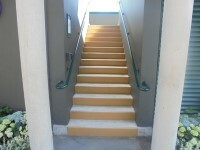 There is step free access on the paths around No.3 Court. 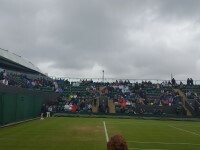 There are very slight and slight slopes in places on paths around the court. 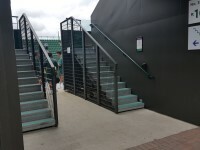 There are between 9 to 15+ clearly marked steps with handrails on both sides leading from the Gangways to the seating areas. 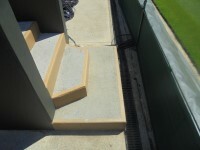 There is a very slight slope at Gangways 10 which can be used to access the front of the seating area. You are on Gangway 10. Skip to the next section. 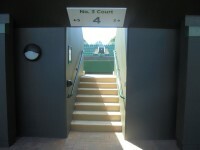 Entrances 10 is located on the west side of No.3 court. 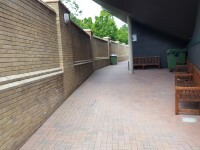 The entrances is 160cm wide. 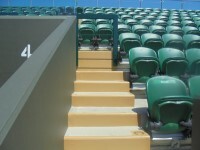 There is step free access to the designated seating. 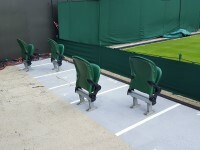 The designated seating is courtside of No.3 Court. 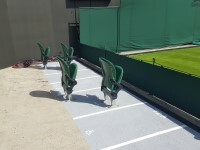 The designated accessible seating area is accessed from the concourse through gate 10 located on the north west corner of No.3 Court. 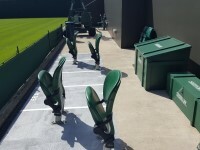 There is step free access to the designated seating through the gangways. 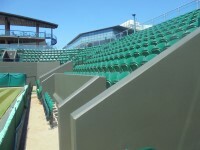 The gangways are 1.55m wide at the narrowest point. 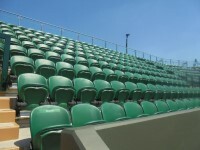 There are 10 designated wheelchair spaces, 5 of these are unreserved and 5 of these are reserved for ticket holders. The are 10 spaces for companions. 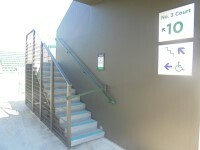 The accessible toilets are located to the left of Gate 10. You are on Accessible Toilet(s) (No.3 Court - Gangway 10). Skip to the next section. 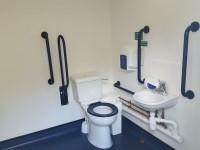 This accessible toilet is located on the outer west wall of No.3 Court, next to Gangway 10. 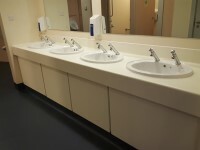 The dimensions of the accessible toilet are 200cm x 220cm (6ft 7in x 7ft 3in). The lateral transfer space is 136cm (4ft 6in). 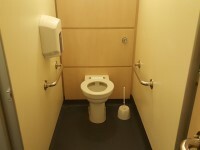 There is a similar accessible toilet located on the No.3 Court's outer west wall. You are on Standard Toilet(s) (No.3 Court -Gangway 7 and 6). Skip to the next section. 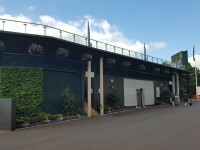 The female and male toilet facilities that were surveyed are located on the south side of No.3 Court, between gates 7 and 6. 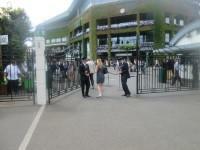 The female and male toilets are approximately 28m (30yd 1ft) from the Gate 10. 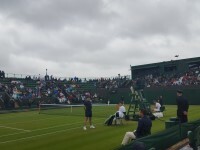 The ramp/slope is located leading down the west side of No.3 Court.